Blenders are the "it" accessory, mostly because smoothies are healthy and quick. Sure, but did you know you can also whiz up a mean burger—salmon, veggie, turkey, even beef—in a blender? Your blender is that good! Brownies, pancakes, slaws . . . there are so many things you can make easily and quickly. Not only that, but blending offers the perfect opportunity to sneak in some extra nutrition: Black beans in your chocolate cake? Carrots in your tomato sauce? Or a quick pulse of cauliflower that can stand in for cream in sauces and soups? A handy chart suggests ways to boost nutrition in recipes that you and your family will embrace. If a high-performance blender is already on your counter, this book is its obvious companion. 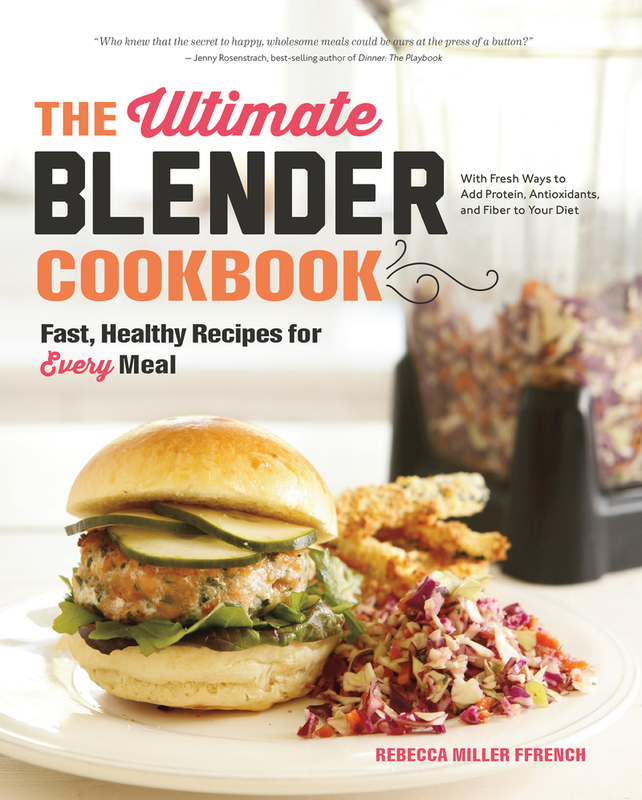 Save money, eat healthier, and get dinner on the table in a jiffy with The Ultimate Blender Cookbook . Rebecca Miller Ffrench is a recipe developer, food writer and lifestyle expert. Her work has appeared in national publications such as Better Homes & Gardens, Shape, Real Simple Family and Martha Stewart Weddings. She is a regular contributor to babycenter.com and has appeared on Good Morning America, The Better Show, and elsewhere. Passionate about natural foods, Ffrench cooks up healthful meals for her family everyday, whether they are in New York City or their home in the Catskills, where they try to spend as much time as possible.